Buying clothes for a friends birthday party, tucking in the tags and returning the outfit to store the next day has for years been the strategy for thrifty shoppers. Today, people are doing it just for the gram. 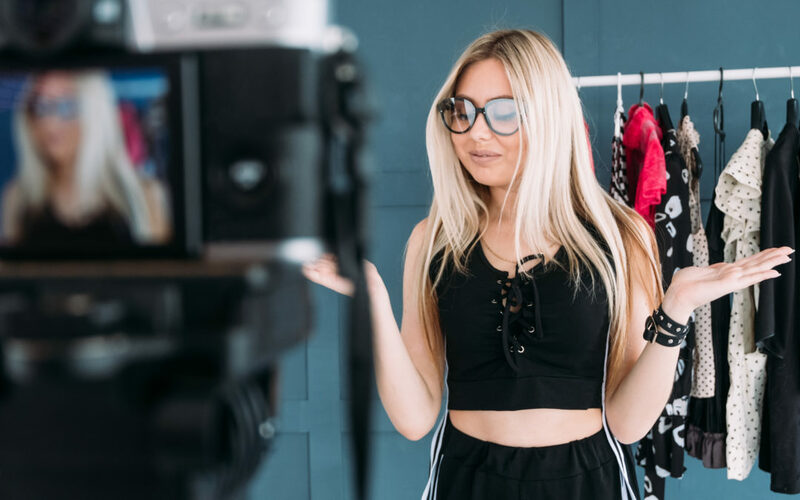 In an effort to appear fashionable, shoppers are purchasing clothes online, only to return them a day later – after they’ve captured the perfect shot for Instagram. Transforming the “outfit of the day” phenomenon into a literal shopping experience, research from Barclaycard found that almost one in 10 UK shoppers have bought clothes online with the intent to wear them for social media and then return their temporary wardrobe. The biggest offenders? Men and women aged 35 to 44, with 17 per cent revealing that they are guilty of shopping only for the #OOTD appeal – a hashtag that links, at the time of writing, to 199,466,186 posts on Instagram. But is this a shock? The life of a fashion influencer, while be it a great job, requires an enormous amount of clothes to create the content! And whilst some brands utilise this form of marketing, others are noticing the trend is having a detrimental effect on their business. Online fashion retailer ASOS has seen its profits plunge after a difficult year caused by heavy discounting and website traffic issues. ASOS’ pre-tax profits fell 87% to £4m for the six months to 28 February against the same period in 2018. Asos said marketing changes meant a fall in visits to its websites and a drop in its search engine rankings. 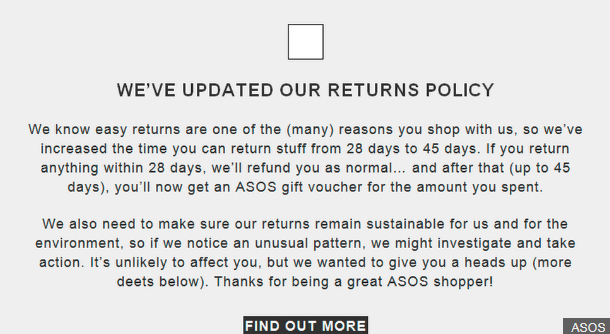 In early April, ASOS announced that it was changing its returns policy. The retailer has warned customers that if it suspected that individuals were actually wearing goods and then returning them, or ordering and returning “loads”, it might deactivate the account.